I've tested a few by now, I don't want to get my hands on the others (like the bulky ModMyPi's cases - sorry guys, I just don't like how they're designed! or PiBows - ridiculous for me; how does the air flow in there?!). With my Pi(e)s I'm not using any. 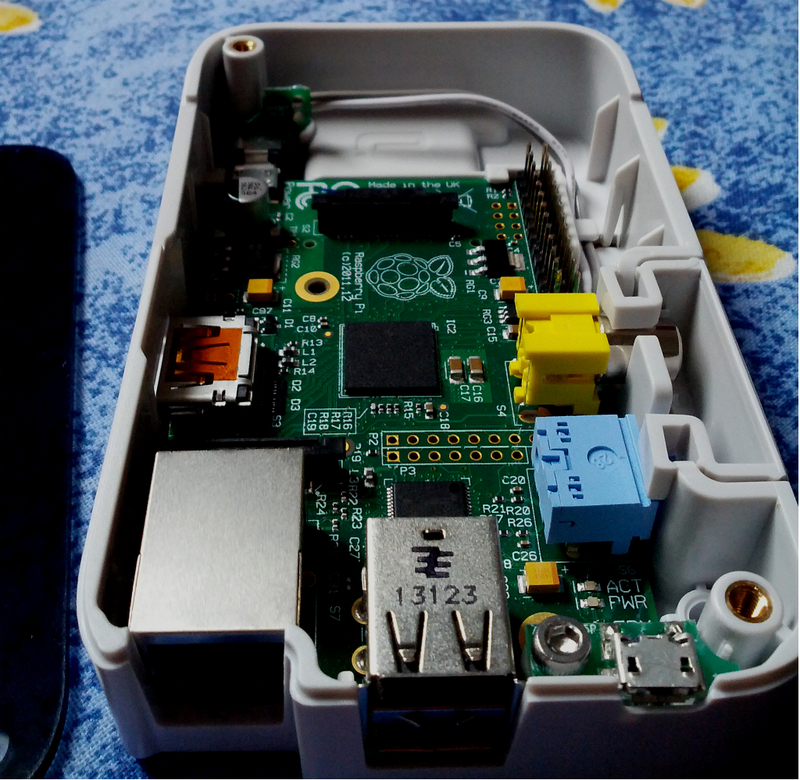 Except the server Pi, that is cased in RPi-Techicase, a pain to assemble, yet good solution for the Pi to be working non-stop, hidden under my desk). What dragged me to focus my attention on the case was probably the gimmicky "pre-order" trick. You open the website, see all the shiny looking case photos and you wonder, what is it? You want to check the price, but there is no price, as you might only wait for a pre-order. When, finally, you get an e-mail announcing the pre-ordering, you become more and more curious, you buy it for ~£18 (with delivery) and wait for another week or so, and your crave rises. Yet, the price and waiting paid off. I got the case from Pi Supply, however, it's already been sold out, so if you want to get one, unfortunately, you have to wait in line! The case arrived with today's mail and as I opened it, I loved it. The case is made of plastic, I guess, with acrylic "smoked" lid. Looks pretty cool and has some really canny solutions. First of all, the case doesn't allow your SD card to stick from it, exposing it to damages. Instead, the case is big enough to hide the card inside. The design is very simple, allowing easy access to GPIO (there is a space to put a ribbon cable in and still have the lid on). Raspberry Pi sits really tight in the case thanks to snaps, and can be easily unmounted. The RCA and audio ports got a cover to hide them if not needed. What seems to be really interesting is the fact you can stack (using pillars) other components on the to of the case - brass screw thread mounting points, and even underneath (there are holes for screws, pillars, whatever). But the most ingenious thing for me is the microUSB slot. It was relocated to the front of the Pi, next to USB ports. It's a great solution that allows you to place the RPi next to a wall, for example, and not move it to attach/detach the power. 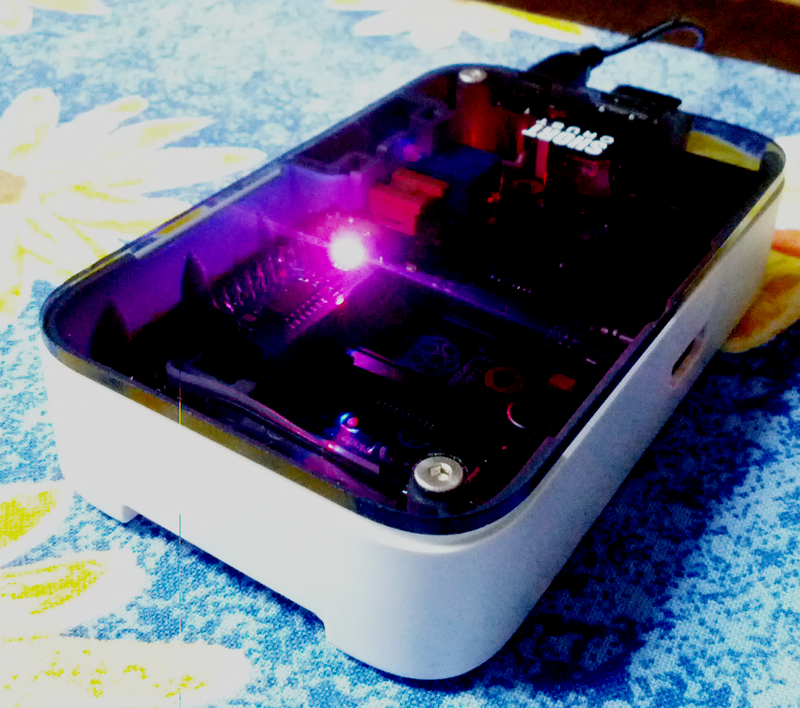 As with most closed cases, the Raspberry heats extensively. though it has cooling holes under the CPU, when placed in a normal position, the RPi heats a lot. With running SSH and rsync backup, it has reached frantic 67°C. In comparison, the same Pi, without any case performing the same operations reached only 50°C. I guess nothing much can be done, apart from attaching a fan under the case to lower the temperature. 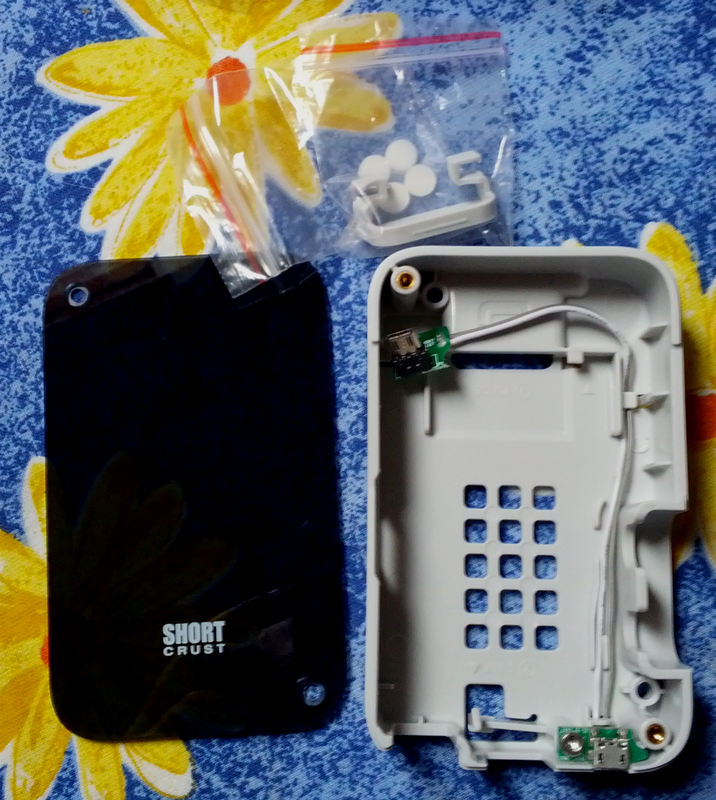 The price is a bit too high, but I guess it's because of the additional microUSB connector inside the case, but I don't regret buying it. Now I have to test it in a more extreme conditions, add some boards and externals to see if it's really worth buying.